We believe that everyone should be able to smile, talk and laugh with confidence. We have seen first hand the amazing impact that cosmetic dentistry can have on an individual’s quality of life, confidence and self-esteem, and we’re so proud to be able to deliver this for our patients. The cosmetic dentistry available at our practices in Coventry and Kettering all follows our gentle, caring approach. We will always take the time to listen to you and answer any questions you may have. When we make a recommendation based on your requirements, we will try to give you all the information you need to make an informed, balanced decision about the right treatment for you, such as timescales and costs. For those who are dissatisfied with the appearance of their smile, our Smile Makeover packages could offer the perfect way to get the smile you have always wanted. Built around you, we can design a treatment schedule all delivered in one place from a team you know and trust. Maybe you feel that your smile is no longer as white and bright as it once was? At Dental Perfection we have two fantastic teeth whitening treatments to help you return your teeth to their former glory, or even give you a lighter shade smile than you have ever had before, the decision is yours. 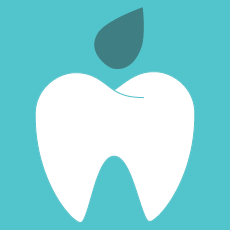 To find out more about cosmetic dentistry and to book an appointment, get in touch.